"We will make Toys R Us an experience in and of itself -- a fun and engaging place where families can spend an entire day. Imagine a mini-Disneyland in each neighborhood." The CEO of Van Nuys-based MGA Entertainment Inc., manufacturer of Bratz dolls and Little Tikes toys, made a nearly $900 million bid Friday to purchase Toys R Us stores in the United States and Canada. "The time is now. 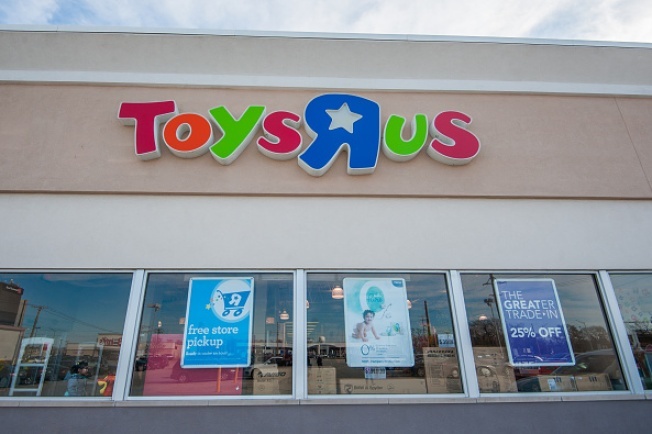 Everyday that goes by, the value of Toys R Us declines and more people lose their jobs," Isaac Larian said. "I did my part and now it's up to the other side to accept this offer. If they do, the real work will begin. We will make Toys R Us an experience in and of itself — a fun and engaging place where families can spend an entire day. Imagine a mini-Disneyland in each neighborhood." Last month, Larian announced a crowdfunding effort aimed at raising $1 billion to purchase the bankrupt retailer. He said money for the bid he made Friday came from his own funds, additional investors and bank financing. Larian's company, though not financially involved in his effort to keep Toys R Us afloat, would benefit as one of its major suppliers, as would rival toymakers such as El Segundo-based Mattel Inc. and Hasbro Inc.
"The liquidation of Toys R Us is going to have a long-term effect on the toy business," Larian said. "The industry will truly suffer. The prospect of bringing the Toys R Us experience to a new generation, my new grandson's generation, is enough to motivate me to Save Toys R Us." Toys R Us announced in March it would be closing all of its stores, and liquidation sales began a week later.